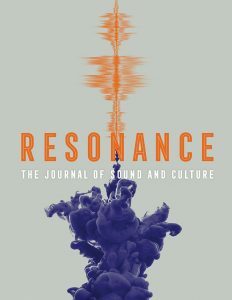 University of California Press will launch Resonance: The Journal of Sound and Culture, a new quarterly online journal, in 2020. Resonance: The Journal of Sound and Culture is an interdisciplinary, international peer reviewed journal that features research and writing of scholars and artists working in fields typically considered to be the domain of sound art and sound studies. These fields may include traditional and new forms of radio, music, performance, installation, sound technologies, immersive realities, and studies-based disciplines such as musicology, philosophy, and cultural studies. The scope extends to other disciplines such as ethnography, cultural geography, ecologies, media archeology, digital humanities, audiology, communications, and architecture. The journal’s purview investigates the research, theory, and praxis of sound from diverse cultural perspectives in the arts and sciences and encourages consideration of ethnicity, race, and gender within theoretical and/or artistic frameworks as they relate to sound. The journal also welcomes research and approaches that explore cultural boundaries and expand upon the concept of sound as a living, cultural force whose territories and impacts are still emerging. Resonance: The Journal of Sound and Culture will publish its first issue in March 2020. 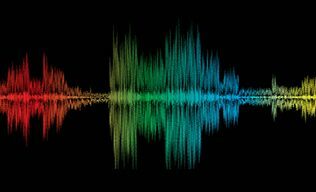 The complete Resonance Editorial Board can be accessed here. Phylis West Johnson is Director of Journalism and Mass Communications at San Jose State University and Emeritus Professor of Sound and New Media in the College of Mass Communication and Media Arts at Southern Illinois University, Carbondale. She is the past editor of Soundscape: The Journal of Acoustic Ecology and the Journal of Radio and Audio Media. Her most recent book publication is Moving Sounds: A Cultural History of the Car Radio (Peter Lang, 2019). Jay Needham is Professor of Sound and Media at Southern Illinois University, Carbondale. He is a sound artist, electro-acoustic composer, teacher, and scholar. His sound art, works for radio, and visual art have appeared at museums, festivals, and on the airwaves worldwide. He has been invited to speak at many noted programs including the Amsterdam School for Cultural Analysis; University of Amsterdam, Netherlands; the Department of Techno-Cultural Studies, University of California, Davis; and the Institute of the Arts, the School of the Art Institute, Chicago. 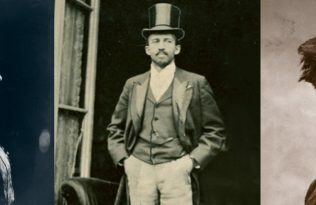 His research has been published in Exposure, Soundscape: The Journal of Acoustic Ecology, Leonardo Music Journal, and in the book Hearing Places: Sound, Place, Time, Culture (Cambridge Scholars, 2009). Needham is also the past Director of the Global Media Research Center at Southern Illinois University, Carbondale.